London - England goalkeeper Jordan Pickford is under investigation by his club Everton about his alleged involvement in a brawl in Sunderland on Sunday. The 25-year-old - who shone at last year's World Cup - is believed to have reacted when revellers in a bar directed derogatory remarks at his fiancée Megan, who recently had their first child Arlo. 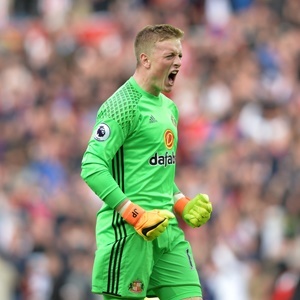 Pickford came through the system at Sunderland but joined Everton for an initial 25 million ($32.6 million) when they were relegated from the Premier League in June 2017.